In South America, armadillos live in a variety of habitats—the giant armadillo frequents farmland in Brazil, while the rarely seen pink fairy (above) is restricted to the desert of western Argentina. One afternoon at my friend’s home in Texas (south-western USA), as his family were welcoming some visitors, an armadillo came into view. The guests were wary of the animal, but my friend’s mother assured them that they were harmless, other than being possible carriers of leprosy. (See below.) One of the young female guests began jumping and screaming, worried that the animal would attack her. My friend’s mother tried to reassure her, pointing out that since armadillos are nocturnal, the little creature was not able to see her well in the bright light and was not attacking. Armadillos are timid creatures, and this one would keep his distance, she said. Apelt moved from Germany to a farm near Comfort, Texas, in 1887. Encountering his first armadillo, which he described as a ‘moving rock’, Apelt summarily killed the odd little creature. When he came back several hours later to dispose of the carcass, the dead armadillo had curled up in the hot sun, and it gave him an idea. Apelt’s family back in Germany were in the basket making industry, and he instantly saw that the curled armadillo had a basket-like form. The ‘shell’ made a perfect basket when it was cleaned out. This shell-like covering distinguishes the armadillo as one of the real curiosity animals of the western hemisphere. 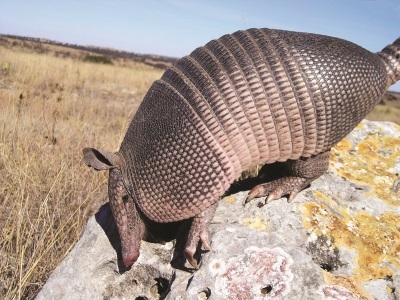 Approximately 20 species of armadillo live in North, South, and Central America, the most common being the nine-banded (referring to the nine ‘bands’ of ‘armour’ encircling the armadillo). Its range extends from Uruguay and northern Argentina all the way into the United States.2 The nine-banded is the only armadillo in North America. Apelt began selling his armadillo baskets locally as curiosity pieces. He also sent some to his family back in Germany, and it was not long before they began to import and sell them. By the 1920s ‘Apelt’s Armadillo Co.’ was employing over 50 men, using dogs, to actively hunt armadillos in the Texas hills. The armadillo is primarily a nocturnal animal, so the hunts were conducted at night. This shell-like covering distinguishes the armadillo as one of the real curiosity animals of the western hemisphere. 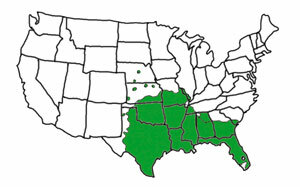 The approximate current habitat range of the armadillo in the United States. Projections for future distribution suggest a rapidly expanding population covering much of the east and west coast. 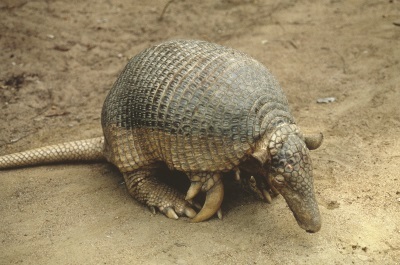 But by the 1950s, the armadillo not only had completed its conquest of Texas (where it is designated as the state animal), but had continued further north, entering Oklahoma and Arkansas.8 By the 1980s the armadillo was reported to have made its way completely through Oklahoma,9 with scattered reports of armadillos in the next state north, Kansas. For creationists, the observed rapid spread of the nine-banded armadillo in recent history is a great case study of the dispersal of animals that happened after the Flood, as the earth was repopulated with animals. The geographical spread of some types of animals, as in the case of the armadillo, can happen with astonishing rapidity by both natural means and human assistance. 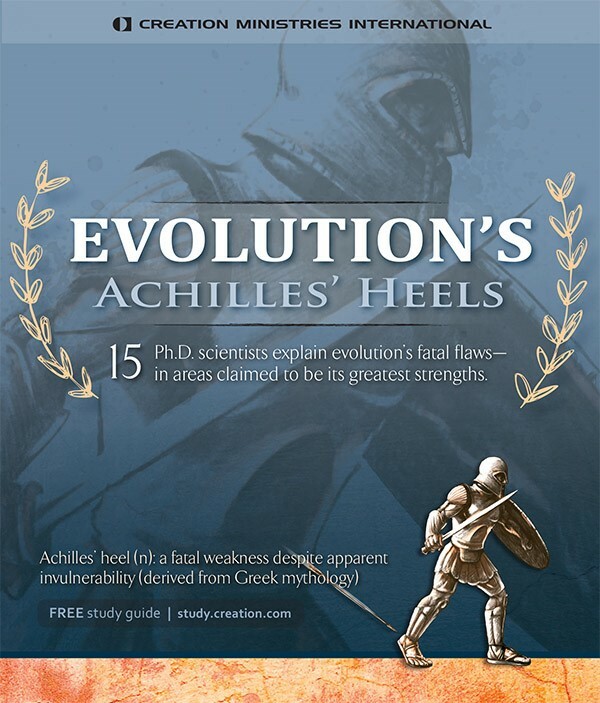 It is very significant to note that the plates of the ‘shell’ (called scutes) were fully formed in their ‘earliest’ find in the fossil ‘record’.13 Evolutionists are disappointed that there is not a developmental ‘history’ of the scutes in the fossils, but this is precisely what creationists would expect—fully formed fossils with no record of evolutionary history. Creationists interpret the fossil-bearing sedimentary layers as a legacy of the global Flood of Noah’s day (or subsequent events). Consequently the ‘earliest’ fossils are no older than around 4,500 years. The Flood wiped out all armadillos that were not aboard the Ark (Genesis 7:21–23), but after the Flood, Noah’s armadillos disembarked and began to multiply again. But skeptics might ask why armadillos (until their recent spread northwards) were only found in South America? And why no armadillo fossils elsewhere? In response to the latter question, one only has to point out that the geographical location of fossils doesn’t necessarily match where that animal (or plant) is found living today. For example, hardly any bison fossils have been found in North America, yet we know there were millions of bison roaming around there. As for the question about the distribution of living armadillos, it’s logical that as animal populations enlarged and spread out from the Ark, carnivore populations (e.g. wolves) would have lagged behind herbivores and insectivores, possibly driving them (e.g. armadillos) further out (all the way to South America). Given that presumed scenario, and that the wolf apparently never made it to South America, then after its demise in North America, it’s hardly surprising that armadillos began to expand (back) into Central and North America. The 20 species of armadillo living in South and Central America range in size from the small and very unusual pink fairy armadillo (about the size of a guinea pig), to the giant armadillo (the size of a large dog), weighing up to 59 kg (130 lb). The commonest armadillo, the nine-banded, and the second most common, the three-banded, grow to about a half-metre (20 in.) in length. Evolutionists often misrepresent creationists as believing that God formed all the species exactly as they are now.14 No informed creationist has ever made such a claim. Rather, God formed the animals by kinds,15 a classification that may be defined in terms of hybridization (the ability to interbreed). 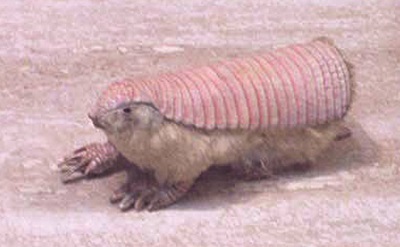 Of course, even knowing which animals can interbreed now cannot accurately tell us which animals could interbreed several thousand years ago.16 So it is entirely possible that many of the species of armadillos we now have are descended from an original prototype of the armadillo ‘kind.’17 This is not evolution, but just genetic variation within the created kind. The armadillo is perfectly designed for what it does. As a timid insectivore, it has speed and armour to provide a defence of escape rather than fighting. The vertebrae of the armadillo are uniquely designed for strengthening digging power, aiding these insectivores in procuring their meals, and digging their burrows.18 The bony plates allow them to go through underbrush without getting caught. 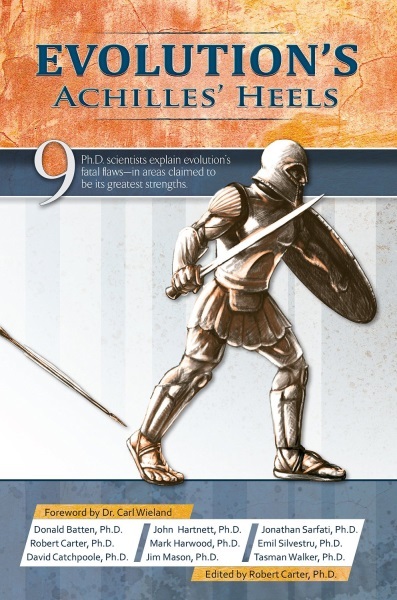 And for creationists, there is no mystery in the fact that all armadillo fossils were found with their scutes (armour plates) fully formed, since that was how God made them in the beginning, and they’ve been reproducing ‘after their kind’ ever since. 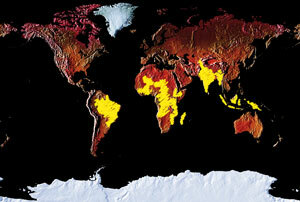 Areas (yellow) most affected by leprosy, according to World Health Organisation figures. The microbe’s optimum temperature (around 30°C, or 86°F) is much lower than the core temperature of the human body (this explains why the effects of leprosy are disfiguring in the serious cases, since surface-level skin tissue has a low temperature).2 The armadillo has a low average body temperature of 33°C (93°F),3 so the bacterium thrives on the armadillo. Convit, J., and Pinardi, M.E., Leprosy: confirmation in the armadillo, Science 184(4142):1191–1192, 1974. Scheepers, A., Correlation of oral surface temperatures and the lesions of leprosy, Int. J. Lepr. 66(2)214–217, 1998. Smith, L.L., and Doughty, R.W., The Amazing Armadillo: Geography of a Folk Critter, University of Texas Press, Austin, p. 74, 1984. Walgate, R., ‘Massive decay’ in leprosy genome—massive for research too? 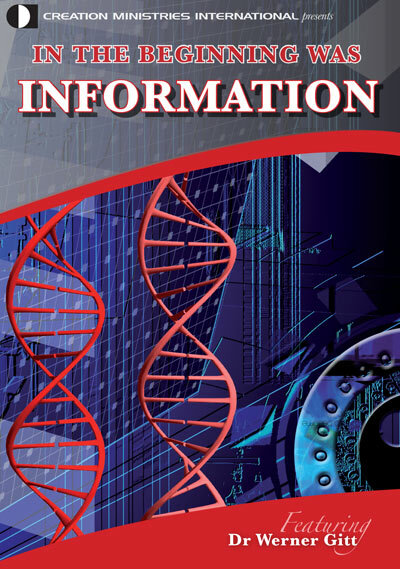 News from The Scientist, 2(1):20010222-02, 2001. Smith, L.L., and Doughty, R.W., The Amazing Armadillo: Geography of a Folk Critter, University of Texas Press, Austin, ch. 3, 1984. Return to text. Recent range mapping information for the nine-banded armadillo is available at InfoNatura, Birds, mammals, and amphibians of Latin America: Dasypus novemcinctus—nine-banded Armadillo, natureserve.org, accessed April 2006. Return to text. Ref. 1, pp. 11–12. Also, Doughty, R.W., personal communication, 15 November 2005. Return to text. Ref. 1, pp. 50, 55, 58–59. Return to text. Ref. 1, pp. 30–36. Return to text. The earliest report of an armadillo in Texas was in 1834: ‘about the size of a muskrat, with a shell and skin resembling in texture those of the alligator, and having wreaths or seams, like those of the rhinoceros, around its body, from the head to the end of the tail. It is a pretty creature, and wonderfully expert at burrowing.’ Lundy, B., quoted in ref. 1, p. 30. Return to text. Ref. 1, pp. 26–27. Return to text. Ref. 1, p. 36. Return to text. Ref. 1, pp. 36–38; 27. It should be noted that although the armadillos have continued to expand, their numbers are much greater in the south. Return to text. Ref. 1, pp. 38–41. Return to text. Patterson, B., and Pascual, R., The fossil mammal fauna of South America, Quarterly Review of Biology 43(4):422–423, 1968. Return to text. See Engelmann, G.F., The phylogeny of the xenarthra, in Montgomery, G.G. (ed. ), The Evolution and Ecology of Armadillos, Sloths, and Vermilinguas, Smithsonian Institution Press, Washington and London, pp. 51–61, 1985. Return to text. Ref. 11, p. 422. Return to text. For example, in the first episode of the American PBS television series Evolution. Return to text. Genesis 1:21, 24–25. Also see Genesis 6:20, 7:24, 8:19, where the animals are taken into the ark by ‘kinds.’ Return to text. 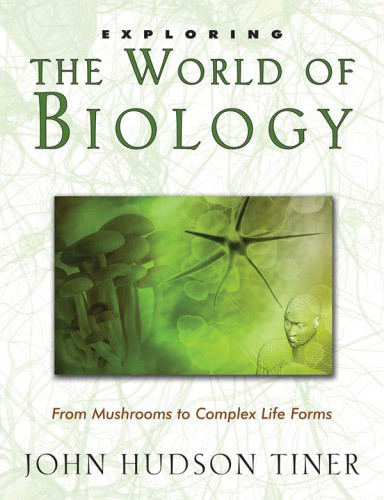 For more on the created kinds, see Sarfati, J., Refuting Compromise, ch. 7, Master Books, Arkansas, USA, pp. 230–234, 2004. 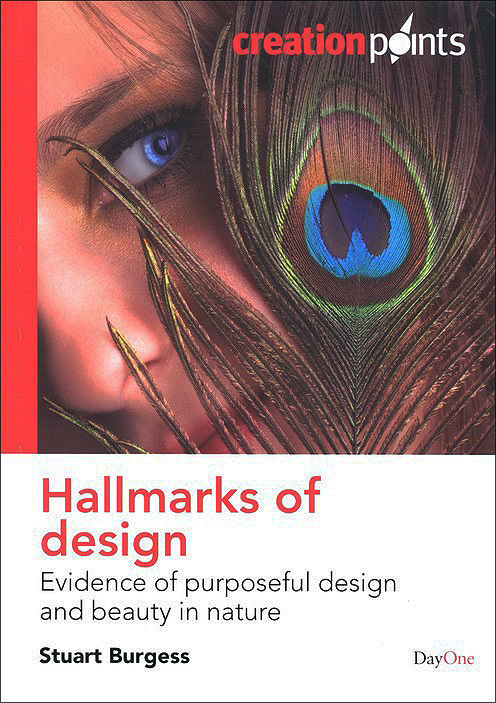 Also see Wieland, C., Variation, information and the created kind, J. Creation 5(1):42–47, 1991, creation.com/kind. Return to text. Hybridization studies would be very interesting to conduct with armadillos, but unfortunately the nine-banded armadillo has proven difficult to breed in captivity. 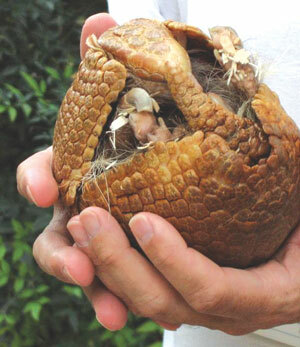 Efforts to breed the three-banded armadillo in zoos have had some success. Bernier, D., telephone interview with the author, Chicago, 15 November 2005. (David Bernier is the studbook keeper and population manager for the Lincoln Park Zoo’s three-banded armadillo research project.) Return to text. Xenarthran, Encyclopædia Britannica from Encyclopædia Britannica Premium Service, britannica.com, accessed January 2006. Return to text.